On 29th January 2019, the Employability Points Scheme, Kent Union JobShop and SU Network co-hosted LinkedIn Live, where students gained the chance to meet and hear from industry experts on how to develop their LinkedIn profiles. 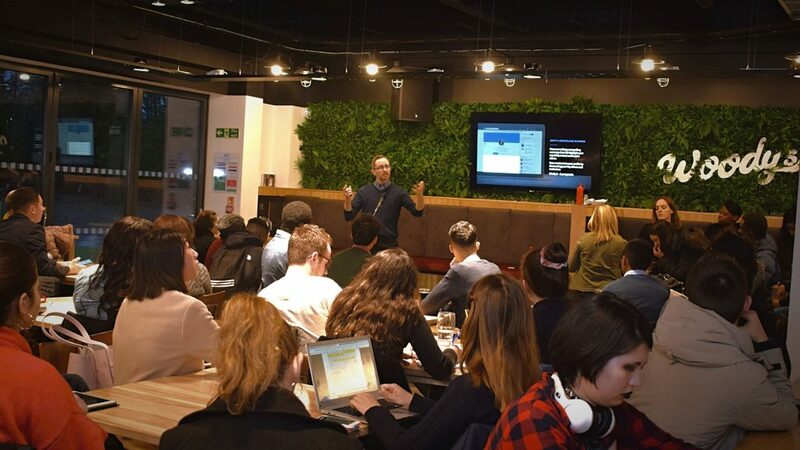 With over 100 students in attendance, informative talks were given by Mark Gaisford (Founder & CEO of RedSprout), Becky Simms (CEO of Reflect Digital), Ralph Meyer (Global Senior Customer Success Manager at LinkedIn), Jade Pluck (LinkedIn Trainer & Coach) and Molly Wright (Founder of Molly Moodle Media). Speakers provided expert guidance on how to write an eye catching CV, how to ensure a LinkedIn profile stands out and how to network effectively through this online platform. Additionally, students gained the chance to network with employers and have their portrait photos taken for their new profiles. All attendees can claim 20 Employability Points!